With respect to my fellow scientists I shall be writing this report in non-scientific speak for all of those readers who have not had the benefit of a scientific education. Imagine the field around a magnet and imagine ordinary everyday static electricity. If you put the force field from the magnet with the force field from the static electricity you make a wave. This wave is called an electromagnetic wave. There are lots of different types of electromagnetic waves but they are all made of the same two things - magnetic and static. The only difference between the waves is their wavelength or the length of the wave and the number of waves that can be produced a second, i.e. the frequency. All of these waves are put into a table called the electromagnetic spectrum. At one end of this electromagnetic spectrum you have the very short waves, namely gamma rays and x-rays and at the other end of the spectrum you have the very long waves, namely radio, TV and waves from overhead power cables. All of these waves have the same properties; that is to say they all behave the same. They can all be reflected, refracted, and they all travel at the same speed, which is the speed of light. For interest, if you were one wave of light you would be able to travel around the world nearly seven times every second; that is the speed of light. The ultra-violet and above are known as ionizing waves and there is no argument as to the damage they can cause when entering the body. Below ultraviolet is said to be non-ionizing and this is where arguments occur between scientists as to whether damage can occur inside the human body through exposure to these waves. The microwaves used in the TETRA (TErrestrial Trunked RAdio) system are in the non-ionizing section of the electromagnetic spectrum and I will be discussing the arguments concerning microwaves and health in this report. specialist Professional Mobile Radio and walkie talkie standard used by police departments, fire departments, ambulance services and the military. TETRA is an ETSI standard, first version published 1995. TETRA is endorsed by the European Radio Communications Committee (ERC). TETRA terminals can act as cell phones, with a direct connection to the PSTN. It is common also for them to operate in a group calling mode in which a single button push will connect the user to a dispatcher and all the other users in a group. Also possible is for the terminal to act as a one to one walkie talkie but without the normal range limitation since the call still uses the network. Emergency buttons, provided on the terminals, enable the users to transmit emergency signals, to the dispatcher, overriding any other activity taking place at the same time. TETRA Mobile Stations (MS) can communicate Direct Mode or using Trunked infrastructure (Switching and Management Infrastructure or SwMI) made of TETRA Base Stations (TBS). As well as allowing direct communications in situations where network coverage has been lost, Direct Mode or DMO also includes the possibility of using one (or a chain) of TETRA terminals as relays for a signal. This functionality is called DMO gateway (from DMO to TMO) or DMO Repeater (DMO to DMO). In rescue situations this feature could allow direct communications underground or in areas of bad coverage. In addition to voice and dispatch services, the TETRA system supports several types of data communication. Status messages and short data services (SDS) are provided over the system's main control channel, while Packet Data or Circuit switched data communication uses specifically assigned traffic channels. All traffic is normally encrypted. TETRA provides both over the air encryption and end-to-end encryption. the much lower frequency used, which permits very high levels of geographic coverage with a smaller number of transmitters, cutting infrastructure cost. fast call set-up - a one to many group call is generally set-up within 0.5 seconds (typical less than 250 msec for a single node call) compared with the many seconds that are required for a GSM network. the fact that its infrastructure can be separated from that of the public cellphone network, and made substantially more diverse and resilient by the fact that base stations can be some distance from the area served. 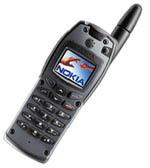 unlike most cellular technologies, TETRA networks typically provide a number of fall-back modes such as the ability for a base station to process local calls in the absence of the rest of the network, and for 'direct mode' where mobiles can continue to share channels directly if the infrastructure fails or is out-of-reach. gateway mode - where a single mobile with connection to the network can act as a relay for other nearby mobiles that are out of contact with the infrastructure. TETRA also provides a point-to-point function that traditional analogue emergency services radio systems didn't provide. This enables users to have a one-to-one trunked 'radio' link between sets without the need for the direct involvement of a control room operator/dispatcher. unlike the cellular technologies, which connect one subscriber to one other subscriber (one-to-one) then TETRA is built to do one-to-one, one-to-many and many-to-many. These operational modes are directly relevant to the public safety and professional users. it can only support a much lower teledensity in a given area, compared to GSM and similar technologies (which is not a problem in the applications for which it is used, but mostly limits it to these applications). handsets are more expensive (about 750 EUR in 2003, about 600 EUR in 2006), due to the reduced economies of scale, different business model when compared to mass-market cellphones, need for security evaluation, and robustness. data transfer is slow at 7.2 kbit/s per timeslot (3.5 kbit/s net packet data throughput), although up to 4 timeslots can be combined into a single data channel to achieve higher rates, due to need to fit into 25kHz bandwidth channel plans. In Britain the public sector TETRA system operates under the name 'Airwave'. In Belgium, the 'A.S.T.R.I.D' system uses TETRA. In the Netherlands, the TETRA system is called 'C2000'. In Sweden the RAKEL system uses TETRA. In Finland the VIRVE (short for VIRanomaisVErkko, loosely translated: "official network") network uses TETRA. VIRVE and C2000 are currently the only TETRA networks that covers an entire country. TETRA uses a digital modulation scheme known as π/4 DQPSK which is a form of phase shift keying. TETRA uses TDMA (see above). The symbol rate is 18,000 symbols per second, and each symbol maps to 2 bits. A single slot consists of 255 symbols, a single frame consist of 4 slots, and a multi-frame (whose duration is approximately 1 second) consists of 18 frames. As a form of phase shift keying the downlink power is constant. The downlink (i.e. the output of the base-station) is a continuous transmission consisting of either specific communications with mobiles, synchronization or other general broadcasts. Although the system uses 18 frames per second only 17 of these are used for traffic channel, with the 18th frame reserved for signaling or synchronization. TETRA does not employ amplitude modulation. However, TETRA has 17.65 frames per second (18000 symbols/sec / 255 symbols/slot / 4 slots/frame), which is the cause of the PERCEIVED "amplitude modulation" at 17Hz. In this country, when somebody asks about whether a certain level of electromagnetic radiation is safe they are usually quoted a safety limit. This safety limit is laid down by the NRPB (National Radiological Protection Board). Usually when you ask about a dose of radiation you find that the amount that you were asking about is thousands of times below the safety limit and thereby reportedly safe. There are other values for other transmitters but there is no need to list those in this document. To look at this another way, supposing you took your car to a garage and one mechanic estimated a price of £6 and another mechanic estimated a price of £3,300 for the same job, you would feel justified about questioning the decisions. The reason that our safety limit is much higher than the rest of the world is that in other countries they base their safety limits on possible effects from the electric field, the magnetic field and the heat produced in the body. Our NRPB will only base the safety limit for this country on the heat produced in the body. I will comment on heat further in this report (Appendix 1, Reference 1). I will try to summarize the thousand or so research papers written over the last 20 or so years and explain or summarize what happens when the electric and magnetic part of the wave goes into our bodies. We being water based animals act like aerials to these waves. As the waves go into our bodies an electric current is generated inside our bodies which is how aerials work; waves come in and electricity is generated. The electricity generated in our bodies like all electric currents goes to ground through our bodies and like all electric currents it takes the path of least resistance. Unfortunately the path of least resistance through our bodies, although only representing 10% of our pathways, carries 90% of our traffic rather like the M1 motorway. The traffic in our bodies, namely hormones, antibodies, neurotransmitters know where they are going because they also carry an electric charge. The hormones, antibodies and neurotransmitters know where to "get off" because there is a corresponding opposite charge at the site of delivery rather like the positive and negative ends of a battery. The problem is if you have an electric current passing through the body it can change this charge, either on the hormones, antibodies or neurotransmitters or the site of delivery. An analogy to that would be - if you were in Paris on the Underground system and you could not speak a word of French, but you had a map with the station name of where to get off and somebody tippexed out one or two of the letters, you may get off or you may not, and this can happen in the body. The hormones, antibodies or neurotransmitters may get off where they are meant to get off or they may carry on and miss their target. As a one-off this probably would not be very important but continuous interference over many years it is argued can lead to many illnesses. A similar effect is that the destination for some of these hormones, neurotransmitters, antibodies is a surface of a cell where chemicals will pass through a membrane into a cell. If you think of a cell in our body, be it a brain cell, bone cell etc, as having a positive and negative charge on the outside and the inside similar to a battery the difference in these charges will draw the chemical into the cell or draw poisonous substances out of the cell. If the charge is changed on the outside of the cell, then necessary chemicals may not go in or poisonous chemicals may not go out. An analogy to that would be - think of your house as a cell in your body. Essential things like food, water and fuel come into the house and poisonous things like waste and gases leave the house. In fact a house is very similar in many ways to a cell in our body. Now, if we had a blockage and waste could not leave the house or sometimes food or electricity did not come into the house, over a short period of time we would survive this, but continual disruption over many years will probably have a knock-on effect on the health of the inhabitants particularly if they are young or frail. This is my explanation of how electromagnetic waves affect our cells. A final description is possibly the accumulative effect of all the particles going through the body each second. Each particle and for TETRA we are talking about 400,000,000 particles a second carries a small amount of momentum with it. As an analogy, imagine you are driving down the M1 in the largest lorry you could possibly imagine and you are hit by the smallest dust particle you could ever imagine. Obviously the dust particle will not effect the speed or momentum of your lorry but if you have 400,000,000 dust particles a second for many years they could if something else was going wrong with your lorry exacerbate the effect and slow your lorry, and that is the crucial point. All of these effects I have described are believed to have one final conclusion. They all in their own way suppress the immune system. I will summarize just four of what I consider to be extremely well written research papers by arguably the worlds leading scientists in this field. There are other leading scientists of course but I cannot list them all in this report. I am using these as specimen papers. When I refer to research papers I am not referring to something that somebody has sat down one Sunday afternoon and just written. These research papers have sometimes hundreds of references in the back and each reference on its own is usually 5-10 years work by a group of scientists where their work would have been peer reviewed, and in a lot of cases published. So for arguments sake, if a paper has say 100 references in the back that could well constitute 500-1,000 years accumulative work. The first paper (Appendix 2, Reference 2) by Dr Neil Cherry was presented in May 2000 to the New Zealand Parliament, to Italy, Austria, Ireland and the European Parliament in Brussels. This paper has 122 references. I have photocopied the references to show that as well as being peer reviewed, many are published. I will do this with the other three papers (Appendix 3). It is believed that during the daytime light going through our eyes passes a message to the pineal glands in the brain which slows down the production of melatonin. At night when no light goes through our eyes the production of melatonin is speeded up. Melatonin is believed to scavenge cancer cells and impurities in our bodies and boost the immune system. If an officer is sleeping in quarters within range of the TETRA transmitter, the microwave radiation is believed to act on the pineal gland and suppress the night-time melatonin to daytime levels; hence the good work of the melatonin at night will be restricted leading to suppression of the immune system. A very recent discovery shows that microwave radiation changes the permeability of the blood brain barrier. Our brain has its own immune system as does our body. The blood brain barrier keeps everything that is designed to be kept within the brain inside it and protects the brain from any unwanted diseases or chemicals which could harm it. Similarly it allows out of the brain anything dangerous to the brain. The blood brain barrier is rather like a sieve where only particles of a certain size may go through. Professor Salford at Lund University in Sweden has shown that such pulsing as from mobile phones can alter the permeability of the blood brain barrier (Appendix 4, Reference 3). I will argue as TETRA pulses, which is arguably more powerful than the average mobile phone, this situation could be worse with TETRA. Also, it is shown that the electromagnetic radiation going into the body can change the size of the particles moving around the body (Reference 4). This is rather like an ice skater spinning on her skates. With her arms out she spins slowly, but if she pulls her arms in she spins faster. Microwaves can affect the particles in our body by changing their spin; hence their size. They can be made smaller or larger. With the changing of the permeability of the blood brain barrier and the changing in size of particles unwanted particles may enter the brain or necessary particles may leave the brain. The connection here with mental conditions is that Dr Hyland of Warwick University has written that the uptake of drugs; in particular neurological drugs is inhibited because of changes in the blood brain barrier. I have listed all of the references on this particular research paper because all of these researches correspond to the above list. The second paper I would like to comment on (Appendix 5, Reference 5) has 80 references and as well as a lot of the illnesses written in Dr Cherry's paper goes on to mention that with regard to mobile phone handsets you should avoid keeping the handset when switched on adjacent to the body, in particular in the vicinity of the waist or heart. There have been deaths due to colon cancer from the Royal Ulster Constabulary who wore radio or microwave transmitters in the small of their backs for extended periods of time. Dr Hyland, in my opinion, is one of the world's leading authorities in this area and his advice is not to be dismissed lightly. Similarly, another very highly respected scientist is Dr Coghill. I would add that both Dr Hyland and Dr Coghill are members of the Stewart Committee. Dr Coghill's paper which has 218 references (Appendix 6, Reference 6) agrees largely with the work by Dr Hyland and Dr Cherry. "the ultimate question must be whether chronic exposure to say 1 V/m electric fields at the envisaged frequencies is likely to produce adverse health effects in the long term. At present the NRPB guidelines recommend an investigation level of 192 V/m while ICNIRP now offers much lower levels. However these are based on thermal effects: if non thermal evidence is accepted than 1 V/m is demonstrably able to induce biological effects, some of which may be adverse". I will show in a later paper that TETRA delivers a lot more than the 1 V/m recommended as a maximum by Dr Coghill. Dr Coghill also, in his summary in the back, lists symptoms caused by mobile phone use. Again, I will argue that as TETRA is pulsed and pulsed radiation is arguably more aggressive than the continuous analogue wave and TETRA uses more power than the ordinary mobile the symptoms will be enhanced rather than be reduced for TETRA. My final paper by a very highly respected New Zealand doctor, Dr Eklund (Appendix 7, Reference 7) which has 37 references shows leukemia clusters in and around ordinary radio and TV transmitters around the world. She says on page 13 that adult leukemia within 2 kilometers of a transmitter is 83% above expected and significantly declines within increasing distance from the transmitter. Similarly skin and bladder cancers follow a similar pattern. As a scientist I could argue that if leukemia and cancer are known to exist from ordinary radio and TV transmitters which take many years to form and radio and TV waves are at the long end of the electromagnetic spectrum, and it is known that exposure to gamma rays or x-rays can cause death within a matter of weeks, a hypothetical line could be drawn from the long waves to the short waves to determine the length of time or exposure doses needed to cause such illnesses. Fitting into this pattern would be several years exposure to sunlight causing skin cancer. There are obvious anomalies with this; namely personal health, hygiene and all sorts of other factors, but as a crude estimate I would argue that the further up the electromagnetic spectrum you go, the shorter the time for the serious illnesses to occur. The microwaves used by TETRA are above radio and television waves. Being water-based animals we are particularly sensitive to microwaves; this is why microwave ovens work. Microwave ovens resonate the water molecules in food and when molecules resonate they re-emit the energy they absorb as heat. This is why the food warms up and the plate does not, because it does not contain water. The warmth on and behind the ear felt by users of mobile phones is one type of heat. Another type of heat unknown to the user, therefore not reported are hotspots within the body from microwaves. These hotspots are tiny areas in the body which warm up considerably when exposed to microwave radiation. The problem with warming up areas inside the body is that a very recent research paper has shown that heat shock proteins are produced to protect the cells in the body from damage. Heat shock proteins act rather like scaffolding around a building; they go around the cell and protect the DNA from damage from the heat. Heat shock proteins have been known to work when the temperature rises by just 2 degrees. Now the problem with heat shock proteins is as well as protecting the good cells they can also protect and save from destruction cancer cells. So, if you have a cell in your body which is turning cancerous and would normally be destroyed by the body's immune system, the heat shock proteins will protect it and it will continue to grow. This work was carried out by Dr David de Pomerai, of Nottingham University (Appendix 8, Reference 8). A report on mobile telephones and their transmitters by the French Health General Directorate, dated January 2001, states in its conclusion of the group of experts that "a variety of biological effects occur at energy levels that do not cause any rise in local temperature". The group ask "is it possible to state that there are no health risks?" and they reply "No". "minimize the use of mobile telephones when reception is poor, use an earpiece kit and avoid carrying mobile phones close to potentially sensitive tissue, i.e. a pregnant woman's abdomen or adolescent gonads". They recommend hospitals, day-care centers and schools should not be directly in the path of the transmission beam. Also and very important, they say "the cumulative exposure over their lifetime will be higher ". "an accumulated cellular level damage mechanism is not necessarily related to the intensity but can relate to total dose. Hence the averaging of weekly exposure is a meaningful adverse effect related level". This accumulative factor puts a very different slant on doses of microwave radiation. In particular an accumulative level of radiation can build up very quickly when you receive 400,000,000 waves every single second. This is why scientists are concerned and warnings have been issued for people with pacemakers, hearing aids, insulin pumps in relation to interference of their apparatus from electromagnetic waves. Warnings are also given to persons with metal implants in their bodies. I have been around the world talking to scientists and we agree, although it cannot be proved, that the recent incidents in breast cancers in ladies could be due to the metal under-wiring in bras absorbing microwave radiation and re-emitting it at a different wavelength into the mammary glands of the breast. The mammary glands are known to be particularly sensitive to radiation and they are known to be easily changed into cancer cells. Following this line of thought, I would argue scientifically that using a TETRA handset, remembering that if you are using a TETRA handset you must also be receiving radiation from the main transmitter, i.e. you do not just have the radiation from the phone you would have the radiation from the transmitter as well, or the phone would not work, could enhance breast cancer in the lady police officers. A similar argument follows with the argument that the eyes receive 29% extra radiation because of their moist make-up. Metal-rimmed spectacles will absorb the microwave radiation and re-emit it onto the surface of the eye. Again, unproven, but I can follow the arguments that support the two recent research papers which have found increases in eye cancers in two separate areas of the eye. One cancer has been found in the side of the eye, one cancer has been found in the front of the eye (Appendix 9, Reference 10) (Appendix 10, Reference 11). As a result of using pulsed mobile phones, again I will argue that as TETRA is more powerful than the average mobile there could be long-term damage to the eyes of the officers using TETRA. They say "a false sense of safety may exist and non-thermal effects are much lower than have been recognized". The TETRA system of 380-400 MHz is within this range of this union paper. I emphasize that these effects are not new; they were being reported on as far back as 1979 and further on in this paper I will show documents that relate to exposure effects going way back to the early 1960s. A very important sentence in this research paper states "non-ionizing radiation increases molecular vibration and rotational energies". I will refer to this further on in this document. Two of the worlds largest insurance companies, Lloyds and Swiss Re, have recommended to other insurance companies on the advice of Dr Theodore Litivitz, Professor Emeritus of Physics at the Catholic University of America, to write in exclusion clauses against paying compensation for illnesses caused by continuous long-term low level radiation. My concern for the police force, although adequately insured, is that if in future years officers start claiming for spine or brain tumors the insurance company will terminate its contract with the police force and leave it uninsured. Two recent surveys printed in Electromagnetic Hazard & Therapy 1998, Volume 9 and 2000, Volume 11; the first of a study of 11,000 mobile phone users, the second a study of 17,000 mobile users showed the symptoms already mentioned of fatigue, headache, warmth behind the ear, warmth on the ear and burning skin in various degrees, depending on the use and type of person. From the 17,000 persons studied, these symptoms varied from 31% to 78% of the users. If I take the lowest number of 31% as a purely hypothetical exercise which is easily dismissed as rubbish, but does give us a look at some of the numbers that could be involved; if we take 100,000 police officers then 31,000 of these officers could experience one symptom. Playing the numbers game, if these 31,000 that experienced one symptom were to progress to a more complicated level, let's argue 10% of them may develop a migraine or a headache or require one day's sick we would have 3,100 officers taking a day's sick. If 10% of those developed something more serious that required further sickness we would have 310 officers off sick. If we take 10% of those and suggest that something more serious may occur then we could be looking at 31 officers, or I would argue 31 families, per hundred thousand involved in something which may develop into a serious medical condition. I stress that this is hypothetical because it is very difficult to predict the future for a device that has not been tested and there are no long-term studies available. As an aside it was noted last year that the Public & Commercial Services Union recommended to its 266,000 Civil Service members that they should not be forced to carry mobile phones. A very little understood phenomena and reported by Dr D. Dahlberg (Reference 13) is ground currents from living in the proximity of transmitters on animals. I mention this with a view to the police dogs and the police horses in their kennels or stables at a constabulary base which is bound to have a transmitter. All transmitters pass an electric current to the ground beneath them. If the ground is particularly wet this has an adverse static effect on the animals concerned and in farm animals can effect milk productions or food production. Huge static charges are built up in the animals and every time they come across a metal object the charge is discharged through the head; the nose being wet. It has been shown that if animals are taken away from this environment they recover very quickly, yet in the environment of ground currents they also become very sick very quickly. I am particularly concerned for the acutely sensitive brains and organs of the highly trained police dogs. Three years ago when a lot of research papers individually were being dismissed I decided to look at several of the main papers and show that there was a knock-on effect in the body. I drew two flow diagrams showing the knock-on effects from approximately 25 research papers to show that even if one symptom is dismissed there can be an accumulative effect throughout the body. The two flow charts - Appendix 11 relates to the body and Appendix 12 relates to the brain, show clearly that our body systems are very closely interlinked. Taking TETRA's lowest operating power level of 2W I wrote a hypothetical equation, and being hypothetical it is very easily dismissed, which shows that at the 2W cell activity may be accelerated by a factor of 6 or slows down by a factor of 7.5. There are experimental papers which do in fact show that mobile phones may speed up thought processes or may slow down cellular activity. I have tried to explain this using theoretical physics. I based my paper on the already previously mentioned accumulative doses and increased molecular vibration (please see previous references). I am fully prepared to be told that I am wrong or mistaken but I believe I can explain the process by which energy once inside the body affects the cell potential (charge on the outside of the cell), the signal transduction (movement from the outside to the inside of the cell) and the cell cycle timing (the process by which our cells operate). I have placed this calculation in Appendix 13. Often overlooked are the electromagnetic waves from the cables and transformers of all electrical transmitters. These are usually in cabinets near the transmitters, hence near offices or sleeping quarters on constabulary bases or near kennels or stables. A research paper published in the Journal of Biological Chemistry in 1998 (Reference 14) describes the 50 cycles a second waves emitted by transformers and power cables, and how they may induce leukemia. Although the NRPB and the National Grid have denied that these waves are dangerous both this paper and an article in the New Scientist dated 10 March 2001, page 7 which reads "Guilty as Charged. Powerful fields from pylons and cables are linked to childhood cancer", demonstrates to me scientifically that these transformers and power cables should not be overlooked. The Government's scientists will often ask for conclusive proof when they are challenged. It is a word often used when you wish to win your side of the argument. Scientifically conclusive proof is impossible to obtain - let me explain. I was at a legal hearing in Torquay representing a community and the barrister representing the communications industry said "there is no conclusive proof that these microwaves will cause damage". I argued: if somebody stood up and shot me in this courtroom there would be three levels of proof. You would have everybody as a witness and that would be accepted in a Court of Law. A pathologist could perform a post mortem, decide that the bullet killed me and that would be a second level of proof. If, however you wanted conclusive proof that the bullet killed me, you would have to argue that at the split second the bullet went into my body every system in my body was working perfectly because there are thousands of reasons why I could drop dead on the spot before the bullet went in and you would have to prove conclusively that all of these systems were working perfectly before the bullet went in. Clearly, this is scientifically impossible; there is no such thing as conclusive proof, yet it is what is demanded by government scientists when challenging their decisions. With the above list it will be recognized that evidence of damage from these comes only from counting the people who are injured. I am arguing scientifically that there is a blanket denial by some scientists and the only way to show them wrong is to present them with a certain number of bodies. When commercial interests are at stake there seems to be a denial of relevant scientific data. The problem with the microwave communications industry is that they do not have to prove it is safe; you have to prove it is not, and that is an entirely different ball game. As a scientist, if I develop a new pill I have to run a 5 or 10 year clinical trial and convince a Board of my peers that it is safe before I have permission to release the pill onto the market. With the telecommunications industry the tables are completely turned around. They do not have to show these instruments are safe; you have to show they are not. There are unknown phenomena concerning low level radiation that is not generally understood by the users of communication instruments. Following the Chernobyl incident it was found that long-term continuous low level radiation of all types was as dangerous as high level doses of radiation. With high level doses of radiation the anti-oxidants in the body (Vitamins A, C, E etc) rush to defend and repair the area of the body being damaged. However with low level radiation the anti-oxidants are not activated and because the dose is accumulative the problems can build up and are usually present before the body realizes that there is trouble. So, low level does not necessarily mean safer. Also the smaller you are the more you tend to absorb. Wavelengths for TETRA and mobile phones are relatively short and the nearer the part of the body or the infant to the wavelength the more similarity they have to an aerial and the more they absorb. With ordinary mobiles the wavelength is around the size of a fetus and with TETRA you are looking at a 3-6 year old child. I mention this because TETRA may be used in areas where children are running around and there are very well known and documented cases of pulse radiation affecting epileptic children. Pulse radiation from TETRA at 17.6 Hz (waves per second) is known to interfere with our natural brains rhythm. Our brains generate their own waves within our head. One of these waves, called beta waves is on a very similar frequency to the TETRA handsets. If you could imagine yourself jumping on a trampoline and somebody larger and heavier jumps on and dances at a slightly different speed you will bounce at their pace rather than yours. When they jump off you will still bounce at their speed. The jumping on of the person onto the trampoline is known as entrainment and this occurs when the TETRA is used in close proximity to an officer's brain. Because TETRA affects the beta rhythm of the brain it will affect what the beta rhythm is responsible for; namely sounds judgment in emergency situations. Entrainment is always followed by a phenomena called long-term potentiation. This is an analogous to the person getting off the trampoline leaving you dancing. Long-term potentiation has been known to last several weeks after the initial source has died down. The implications for this are that the officers' brain waves would continue to suffer entrainment even after the sets have been switched off, which would be reinforced every time the sets are switched on again. The first paper written on this subject was by a scientist called Ptolemy who was a Greek living in Egypt in 64BC. Ptolemy found that when he spun a wheel with holes in up against the sun at different rotational speeds he could induce different effects on the brains of his subjects. To get an idea of the complexity of the brain, if you imagine every single person in every single city in the world picking up their telephone and dialing everybody in their phonebooks, that is roughly how many connections we have in the brain. I will show later that even the Stewart Committee advised against using any communication instruments that pulsed above 16 waves per second. TETRA is of course 17.6 waves per second. From a court case towards the end of 1998 Dr McKinlay was questioned in court about the use of mobile phones. Dr McKinlay is a senior scientist in the NRPB. It is known that roughly half of the NRPB's funding comes from the industries it represents, the other half of its funding comes from the Government. In court Dr McKinlay explained that data on tissue conductivity was supplied to the NRPB by Dr Camelia Gabriel of Microwave Consultants Limited. It transpired that virtually none of the NRPB documents on non-ionizing radiation are peer reviewed and that Dr McKinlay himself had not authored any experimental studies. Dr McKinlay admitted he had no biological expertise. Dr Camelia Gabriel is Director of Microwave Consultants Limited and she reports to the Home Office and the Health & Safety Executive. She is also Chairman of the European Standardization Body. To summarize, the NRPB subcontract research on microwave radiation to Microwave Consultants Limited; namely Dr Camelia Gabriel. Dr Camelia Gabriel is also a senior consultant for Orange plc and has authored jointly with others the Orange Base Stations Health & Safety Manual (please see Appendices 14 and 15). Dr Gabriel's son, also of Microwave Consultants Limited, confirms the safety of transmitters for Orange plc in school playgrounds (Appendix 16). "concerns are increasing about industry's involvement in research. Some of the NRPB's conclusions have been based on research by Dr Camelia Gabriel, a technical advisor to network operator Orange and Head of Private Consultancy, Microwave (Appendix 17)." The problem as I see it is that when it comes to asking about safety concerning TETRA or any other communication instrument there is not one single independent person to give an answer. Every single person who has a word to say about the safety of police officers is somehow in the "food chain" going back to the communications industry. The communications industry fund the NRPB and the Government who fund Microwave Consultants Limited so every single person has a financial interest in recommending the product. Since the early 1960s this country, America and Russia have had what is called the non-lethal weapons program or synthetic telepathy program. It is very well documented now that in the early 1960s in Moscow the Russians beamed continuous low level radiation (microwaves) down onto the American Embassy causing miscarriages, leukemia's and other illnesses to the Embassy staff. Since then the non-lethal weapons programme has become very sophisticated indeed. Details of all of the intensities are unknown to me but knowing that microwave radiation is accumulative, any effect can only be a matter of time. In quoting this research I refer to documents listed under Reference 15. They are able to define specific pulse frequencies to cause specific brain malfunctions or illnesses. Other consequences of frequencies used but not listed here are hysteria, trauma, lust, murder and cancer, and may all be induced. The TETRA frequency is 17.6 Hz (waves per second) so as a scientist looking at this data which is well publicized I ask myself, if the illnesses moving up the frequency range are progressive and TETRA is between the frequency of 11 and 25 on this table, what will be the effect of TETRA's 17.6 waves per second on the brains of the police force? This phenomena cannot be denied by the NRPB; it is listed in their own document which I will refer to later in this paper, where on page 26 they have described how at 8 waves per second animals can be made to fall asleep and at different frequencies behave differently in various parts of their brains. As this phenomena is written about by the NRPB for 8 waves per second I would like to know what other research they have for other frequencies in and around the TETRA range. HAARP, which is being researched by a nun, Dr Rosalie Bertell, who is concerned about what it represents along with other scientists knows that HAARP is capable of bouncing low level continuous microwave radiation pulsed off the ionosphere to any community in the world and may cause cataracts, leukemia, changes in blood brain chemistry, changes in blood sugar levels, blood pressure and heart rates. The paradox of course is how can one system of pulsed microwaved radiation be used as a weapon to cause illness or death and at the same frequency and unless close range, a similar low intensity be used as a safe communications instrument. Following this research I fail to see how TETRA can possibly be safe for the officers which use it. "The telecoms industry has known about American research suggesting there may be brain effects from TETRA for at least a year". "The research suggests that TETRA radios may have a direct effect on the brain's bio chemistry". "The researchers found that balance changed when brain cells were exposed to pulsed radio signals". "the Government was warned about the issue last year. The Stewart Report into mobile phones recommended research into pulsed signals and suggested the technology be avoided. As a precautionary measure amplitude modulation (pulses) around 16 Hz should be avoided if possible". "what the frequency of 17.6 Hz is doing is duplicating microwave weapons which you buy at arms fairs. So by holding one of these devices to their heads they are putting a small microwave weapon to their head everytime they use it". "but there is enough to warrant asking why the system is being rolled out before the proper research has been conducted into an effect which not only falls outside all the existing regulations but which the Government advises on mobile phones believes it important enough they recommend the technology not to be used and which the military authorities apparently believe is so powerful that they can design non-lethal weapons to disrupt the minds of their targets". "after 20 years of rumors and speculation the Pentagon has finally confirmed that it has developed a device as part of its joint non-lethal weapons programme "
He continues "in the UK many of the women protestors at Greenham Common in the 1980s experienced symptoms that they attributed to being zapped by microwave weapons from the US base". "two independent experts on the biological effects of electromagnetic radiation have accused Ministers of using the police as guinea pigs by pressing on with the launch of the BT Airwave System in the absence of detailed research into potential health risks". They continue, "last year Sir William Stewart's report on mobile phone safety concluded that systems modulating at frequencies around 16 Hz should be avoided if possible in future developments of signal coding". They conclude "low frequency electromagnetic radiation was identified as far back as the 1960s as a potential anti-personnel weapon when the superpowers began conducting experiments into non-lethal mind control devices". Low level pulsed signals have even been tried in the oceans. It was reported (Reference 17) by Gibby Zobel that the whales and dolphins beached themselves because their delicate navigation systems were damaged by the low level pulses. This is not surprising as like us they are mammals. The comment from the Minister at the time was "it's their fault for being in that part of the ocean when they could have moved away". "BT advise officers to turn off the handsets when they are near sensitive hospital, breath-analyzer and speed camera equipment Officers are also being advised to mount speed traps or breath tests only if the equipment is 35 ft from their handsets or 11 ft from radio sets in their cars". "someone using a TETRA handset will be receiving between 2 and 4 times as much power or energy as if they were using a mobile phone. The low frequency also means about double the penetration into the head". "if the more advanced nations of the West are strict in the enforcement of stringent exposure standards there could be unfavorable effects on industrial output and military functions". "personnel exposed to microwave radiation below thermal levels experience more neurological cardio-vascular and haemodynamic disturbances than do their unexposed counterparts". Further down the document other symptoms include hypertension, changes in blood, headache, fatigue, menstrual dysfunctions. An officer on duty may be exposed to his or her own handset, plus the handsets of officers around, plus the transmitter, plus anything else that happens to be on around them, i.e. vehicles. It may seem fairly easy for people to think that all you have to do is add up the radiation from each source, but in fact it can be very complicated and I would argue so complicated that scientists have yet to agree on a standard formula. For example, when measuring the magnetic part of the wave in Norwich it is known by some scientists that the maximum dose would be 0.4 units. When the arithmetic average was taken it came out at 0.46 above the danger level for the child. When the interested parties came and did their measurements they got the reading to be 0.26 units below the safety level; they calculated the geometric average. Clearly there is a difference between 0.26 and 0.46. When measurements are taken and quoted to you, you should always ask how the answer has been calculated and check the figures. Other ways of measuring waves may be time weighed average, constructive or destructive interference, the polarization, the near-field, the far-field, the root mean square, the peak to peak, the electric or the magnetic vectors; all of these are legitimate calculations and in my opinion could be used to make a reading look more acceptable if it was desired. In Appendix 19 I enclose an e-mail conversation by three eminent scientists who are trying to agree on the best way to calculate multiple waves. The multiple wave phenomena is of concern to me with regards the health of the police officers, simply because I have yet to find anybody who can say for sure the dose that each officer will be receiving. Arguably if the dose cannot be calculated therefore the health of the patients cannot be calculated. Reporting in Engineering, February 2001 Matt Youson writes about the case where a man had a heart attack and in his journey to the hospital in an ambulance the ambulance crew using their TETRA sets, affected his heart monitoring devices which sadly resulted in the man's death. "the Head of Brain Surgery at NASA has even said he would not consider holding one of these to his head (with regards to TETRA). He said the net result is that the police are guinea pigs". "certainly if mobile phones had been a new drug they would never have got out of the laboratory". "a 420 MHz signal producing a waveform that maximizes radiation absorption for 3-6 year olds but also a pulse at 17 Hz right in the brains' beta rhythm - 17Hz is close to the peak frequency that triggers calcium e-flux in the brain which in turn affects apoptosis (programmed cell death) which can initiate cancer development. Despite this there is a complete lack of research on TETRA's possible health effects". He concludes "consider that you are talking about cumulative pulsed microwave radiation into your head, eyes and other organs possibly everyday for the rest of your life". "as far as we can find out virtually no meaningful biological research on the effects of TETRA signals has been carried out. None of this is on humans nor is any on brain functions". In a late study published this month by The Independent entitled 'Mobile Phone Use Can Treble Risk of Brain Tumour', Charles Arthur writes that a research paper studying 1,600 people by a cancer specialist at the University of Sweden will be publishing his research paper on this data when it is finished. In 1997 the Health Council of The Netherlands Radio Frequency Radiation Committee published their paper entitled 'Radio Frequency Electromagnetic Fields (300 Hz to 300 GHz)' (this is within the TETRA range). They warn of interference to embryo development, hotspots inside the body, damage to eyes specifically infants, elderly and the sick. They also comment on interference to metallic implants and pacemakers. "the effects of electromagnetic fields occur at lower powered entities when the object is exposed to pulsed electromagnetic fields". I write this because TETRA is pulsed and most of the research which has been done has been done on continuous waves. The inference from these new research papers can only suggest that the symptoms will become more serious as pulsed radiation is arguably more aggressive. "the introduction of TETRA on the other hand gives rise to an increased level of both thermal and non-thermal concern". On page 14 Dr Hyland comments on the expression of calcium ions from brain cells and on page 15 writes a chapter on the magnetic field associated with current surges from the battery of the phone. Many people do not appreciate that batteries can produce magnetic fields that go into the body. The Governments' NRPB (National Radiological Protection Board) produced their own document (Reference 20) which is a report of an advisory group on non-ionizing radiation and TETRA. Each page I quote from I will photocopy and place in the Appendix so that the reader may read the NRPB's research and the reader may compare my answer to that research. On page 3 (Appendix 21) the picture shows the microwave signals labeled radio signals as a continuous not-pulsed signal. I would argue that this has been measured by the Cambridge researcher Alisdair Philips and has been shown to be pulsed leaving the transmitter going to the officer. Page 4 (Appendix 22), Section 21 states "some radiation is also emitted from the case". It does not say which type of radiation - electric or magnetic or when the radiation is emitted, or the strength of the radiation or what part of the body will receive most of the exposure. In Section 22 "the main exposure to the body should be from the antenna and case of the hand portable". The question arises where is the rest of the exposure coming from and how much will there be? Section 24 refers to the earphone. If an earpiece is used and the smallest possible imaginable crack occurs in the earpiece radiation will have a direct path straight through the auditory canal to the brain. The officer will not even have the protection of the skull. In the rough and tumble world of a police officer where earpieces may be frequently knocked, what protection is there for the officer in checking that the earpieces do not leak? I would recommend that earpieces should be checked with very accurate equipment for leaks at least on a weekly basis. The earpieces should be of the highest quality possible and definitely leak-proof. "the terminal is mounted inside the vehicle and connected to an antenna mounted on the outside". My concern is what sort of insulation is there inside the vehicle to protect the officers from the terminal inside the vehicle. If the terminal inside the vehicle is not sufficiently insulated from the officers they are effectively sitting inside a microwave oven, except for the windows. Page 6, Section 26 (Appendix 24) shows that the useful range of a mobile terminal (car) to a transmitter is 56 km. 56 km is a fairly powerful transmitter and again I question if an officer is standing outside the vehicle or inside the vehicle, how much research has been done on the radiation levels being received by this officer? Page 7, Section 28 (Appendix 25); this diagram shows a vehicle being used as a transmitting station to relay a message 56 km from a transmitter to 56 km to an officer. Again, I question how much insulation there is to protect the officers from the radiation if they are to be used as mobile transmitting stations? Page 8, Section 37 (Appendix 26); this confirms that the pulses are 17.6 Hz and 35.2 Hz or waves per second. I emphasize that the Stewart Committee warned about using frequencies close to the brain above 16 Hz. Page 9, Sections 39/40 (Appendix 27) refer to a top output in the table of 30 W and for hand terminals 3 W or 10 W for a vehicle mounted transmitter. My concern is that with ordinary mobile phone transmitters no sooner are they up when an engineer comes along and adds another section, then another section and within a few years the original transmitter is unrecognizable because of additional instruments. With TETRA when it expands to cover all of the emergency services; possibly traffic wardens, the new reserve police force, maybe even park keepers and security officers, I am wondering whether these outputs may be exceeded. In my own mind I find 3 W and 10 W outputs particularly high when in proximity to a living being. If we look at Professor Cherry's table (Appendix 27), it can be seen that in millionths of watts, the long-term exposure can lead to various ailments. On this graph I have drawn a line below which the TETRA power level applies. This is obviously an estimate because when the handset is switched on, there is a surge of power. If you are a long distance from a transmitter the power increases, or on standby the power drops down. Due to the lack of research in measuring TETRA in and around vehicles it is very difficult to place an accurate estimate on this graph at present. Suffice to say that the power on this table is in millionths of watts and Sections 39 and 40 are in watts. For the reader I have enclosed a three page guide of reported biological effects from low level radiation. Page 10, Section 44 (Appendix 28); the table shows that the TETRA handsets are slightly more powerful than the ordinary GSM mobile phone systems. This is the basis of one of my arguments that if TETRA is pulsed, which is arguably more aggressive and powerful than the ordinary mobile phone, the medical symptoms could arguably be more severe. "hence with TETRA the energy is absorbed in a larger volume of tissue and so is less concentrated". Scientifically I cannot decide whether it is better to have the energy spread over a larger area or concentrated on a smaller area; I will have to discuss this with colleagues. Also in Section 61 the NRPB write "however, since the radiation from TETRA penetrates further into the head ", that I am particularly concerned about because the most delicate parts of our brain are in its centre for maximum protection and if this is where TETRA is going to reach then I have grave concerns. "VERY LITTLE INFORMATION EXISTS ON THE SAR'S PRODUCED BY TETRA AND PORTABLES. NO NUMERICAL MODELING APPEARS TO HAVE BEEN CARRIED OUT". SAR means Specific Absorption Rate and refers to the heat generated inside that part of the body exposed to microwave radiation. I mentioned heat earlier with regard to heat shock proteins protecting cancer cells and to prevent damage to the DNA. I find it absolutely beyond belief that the NRPB can admit they have very little information on a system that is already being used and to say that no numerical modeling appears to have been carried out suggests to me as a scientist that no measurements have been taken to assess any medical damage which may occur to the officers. What experimentation has been done (Gabriel 2000), appears to have been carried out by Mr Gabriel of Microwave Consultants Limited. As this research could possibly affect what may turn out to be brain tumors or spine cancers for the lady or gentlemen officers I would feel justified as a Police Federation in asking which totally independent scientists not connected in any way to the Government or communications industry peer reviewed this research paper and what were there comments? Page 15, Section 65 (Appendix 30); this section explains that SARs could be up to 4 times larger than those in table 6 above. If the reader looks at the unit at the top of the table after SAR (Wkg-1), the reader can go to Appendix 27 'Reported Biological Effects', and the reader will observe one of the pages lists the medical symptoms expected from SAR doses. The reader will notice that for an SAR of 2 or 3 W/kg, cancer acceleration in the skin and breast tumors may be found. Coming back to the table it shows for the left ear an SAR of 2.88 but in the document below it explains that the SAR could be 4 times larger than this, i.e. you could be receiving an SAR above 8. Page 11, Section 51 (Appendix 31) (NB: the NRPB bound document has pages 11-13 out of order and I cannot change this, and I apologize to the reader). This table shows that the power output may reach 40 W from a TETRA transmitter. My concern is that the officer will be receiving the radiation from the transmitter as well as the radiation from the handset. "the main exposure to the body is expected to be at waist level from the antenna and base of the hand portable". My concern with this is the reported cases of cancer of the spine from officers who have carried their hand portables on their belts. To my knowledge 4 deaths have occurred because of this. "Although there could be some exposure from the earphone if RF current is induced in the cable ". When the signal goes from the handset to the earpiece, electromagnetic waves are emitted from the cable, i.e. the cable actually becomes its own transmitter. These waves would obviously go through the neck and my concern is that they could affect the sensitive glands within the neck. Another concern, but unproven, came from a dentist who was concerned about the metal in peoples' fillings absorbing radiation and re-emitting it up into the centre of the brain where there is no protection from the skull. This is obviously a very complex research area to go into but nevertheless I feel that this dentist has a justifiable argument and one which should not be dismissed without thought. "the situation is complicated by the metal body of the vehicle. It is not evident that this could be relied upon to provide shielding, since the non-conducting parts, e.g. windows of the vehicle are comparable to the wavelength of the radiation". Scientifically what this means to me is that there could be a considerable risk of electromagnetic radiation for the persons either inside or just outside of the vehicle. I find this incredible in so far as the risk is obviously appreciated by the NRPB and yet, as they stated earlier, no numerical modeling has been carried out. To me it appears that the risk in and around vehicles has been overlooked. "the data in table 6 suggest that for both 3 W and 10 W vehicle mounted terminals the ICNIRP basic restrictions for the general public could be exceeded if a persons' head were within a few centimeters of a vehicle mounted transmission antenna for several minutes". The question I ask is what if the call is some big disaster emergency and the call may last longer than several minutes, or once the system is upgraded you are waiting for pictures to come through? Have calculations been done for say an accumulative 10 minute call? NB: The Police Federation may wish to ask whether the dose levels in these tables are calculated as a geometric average or arithmetic average. "at these power levels there will be regions in the immediate vicinity of the base station antenna where guidelines could be exceeded". My argument here is similar to the argument above. What if an officer has to remain through duty in the vicinity of a base station or transmitter where even the NRPB's high guidelines are exceeded or the International Commission's guidelines are exceeded? These guidelines, as shown in Appendix 1, are way above what the rest of the world recommends. "no measurements appear to have been made of the exposures received inside or outside vehicles with externally mounted antennas". My simple question is, if officers are using what could be potentially dangerous instruments, why have no measurements been taken to assess their risk? I find this beyond belief. Page 26, Section 111 and 112 (Appendix 34). Here the NRPB agree that the phenomena of non-lethal weapons exists because they say that with a frequency of 8 waves per second into the brain, animals can be made to go to sleep, or be stimulated at higher frequencies. To me this simple statement by the NRPB verifies the non-lethal weapons program as sound. "HOWEVER THERE ARE LIMITATIONS TO THE REASSURANCE THAT THEY CAN PROVIDE. IN PARTICULAR THEY DO NOT EXCLUDE THE POSSIBILITY THAT RF (radio frequency) RADIATION FROM CELLULAR PHONES MIGHT CARRY A RISK OF CANCER THAT BECOMES MANIFEST MANY YEARS AFTER FIRST EXPOSURE OR THAT RELATES TO INTENSE EXPOSURE OVER MANY YEARS. NOR DO THEY RULE OUT A HAZARD FROM RF RADIATION MODULATED SPECIFICALLY AT AROUND 16 Hz". Here, the NRPB are not ruling out that there may be a risk of cancer to the officers in several years time. Also there could be a risk because of TETRA's unique pulsing to the officers' brains. "further research is needed using modern molecular and cellular biology techniques to assess the reliability of the positive findings and to determine the extent and significance of any effects that do occur". Scientifically to me, what the NRPB are saying is that they need to do research to find out what effects TETRA will have on the officers. "HOWEVER THEY DO NOT EXCLUDE THE POSSIBILITY OF A RISK OF CANCER THAT APPEARS ONLY AFTER MANY YEARS OF EXPOSURE, NOR OF A HAZARD FROM RF RADIATION MODULATED SPECIFICALLY AT AROUND 16 Hz". This suggests that cancer and brain damage has not been ruled out as a possibility of using TETRA. As an analogy, this seems to me like a situation where I could go to my GP and ask for some tablets and the GP can say, you can take these but there may be a risk of cancer in several years time, I don't know, or a risk of brain damage. "A number of recommendations for further research are suggested by the Advisory Group". My observation is why wasn't this research was done before the system was introduced? This puts officers' health at risk unnecessarily. "Proposals for experimental investigations of the possible biological effects of specific TETRA signals modulated at about 16Hz". Again, I suggest this should have been carried out before it was used on police officers. "Further studies need to be carried out on effects of amplitude modulation or pulsing on neuronal activity and on signaling within and between nerve cells The likelihood of epileptic seizures could be investigated ". If the NRPB are suggesting this now, my question stands, why wasn't this research carried out before the officers began their trials with TETRA? "HUMAN VOLUNTEER STUDIES SHOULD BE CARRIED OUT TO MEASURE CHANGES IN COGNITIVE PERFORMANCE ARISING FROM EXPOSURE TO TETRA HANDSETS. THESE SHOULD INCLUDE EXAMINATION OF THE EFFECT OF VARYING PARAMETERS SUCH AS THE DURATION OF CALLS, THE EXTENT OF EXPOSURE, AS WELL AS SIGNAL CHARACTERISTICS". "THE TETRA SYSTEM IS EXPECTED TO BE DEPLOYED WIDELY FOR USE BY STAFF IN EMERGENCY SERVICES. THIS IS A RELATIVELY STABLE WORKFORCE WITH DEFINED PATTERNS OF WORK. IT WOULD BE WORTH CARRYING OUT STUDIES TO EXAMINE WORKING PRACTICES AND CONDITIONS OF EXPOSURE TO RF RADIATION FROM TETRA SYSTEMS. RECORDS OF USE SHOULD BE KEPT WHICH COULD BE OF VALUE IN ANY FUTURE EPIDEMIOLOGICAL STUDIES". Clearly this means that the police, although to my knowledge not volunteers, as a regular and stable workforce are absolutely ideal for a scientific study into the long-term effects of electromagnetic radiation from TETRA. The NRPB will use all of this data as an epidemiological study, as recorded in their own document. "ONLY LIMITED INFORMATION IS PRESENTLY AVAILABLE ON EXPOSURES FROM TETRA HAND PORTABLES. FURTHER WORK IS NEEDED TO PROVIDE MORE INFORMATION ON EXPOSURES FROM HAND PORTABLES AND FROM ANY OTHER TRANSMITTING EQUIPMENT DEPLOYED FOR USE". My simple observation to this statement is why? Why is only limited information presently available on exposures if the system is up and running? There has got to be a risk to the officers from unknown exposures. If you take a complete overview of this entire document, I would suggest that there is a lot of information which could suggest long-term low level exposure to microwave radiation is harmful. However, science is always about argument. I find it a very dangerous time when a scientist insists that he or she is right. Scientists that have insisted they are right (sometimes publicly) and have later to have been shown to be incorrect are those concerning thalidomide, asbestos, BSE, smoking, sheep dip, Gulf War Syndrome, GM foods, Vitamin B6, to mention just a few. So, let us assume that I am wrong and let us assume that every single scientist I have quoted in this report, which may involve thousands of years of work accumulatively, is also wrong, just for arguments sake. My argument is unchanged and my argument is simple. All I am suggesting is that the ladies and gentlemen of the police force have the opportunity to read both sides of this scientific debate with all of the literature at their disposal and they, be allowed to decide whether or not they would like to use the TETRA system. If every officer decides that they love the TETRA system so much they want to take it home to bed with them, I do not have a problem with that. All I ask is that the officers have the choice where their long-term future health could be at risk. I would like to see a totally independent group of scientists, not connected with the communications industry or the NRPB, be able to represent the police force at their request. Should TETRA become widespread, a long-term full indemnity insurance policy should be guaranteed for the officers for any possible future long-term risks. That all major documents relating to TETRA safety be made available to the officers of the police force along with how the figures were calculated, i.e. which average was taken, which totally independent scientists peer reviewed the papers, the comments of those scientists and if necessary, the relative expertise of the scientist who carried out the experiments and wrote the paper. I recommend this because when I applied to teach Advance Level Physics at College, all of my degrees are personally checked and when we go camping with College students, our mountain leadership certificates, life-saving certificates, updates to those certificates are all scrutinized by the parents. And I totally agree with this. I believe that if you are making decisions pertaining to persons' safety or health, your qualifications, background, experience should all be available for scrutiny. Also, anything that you write should be checked by totally independent persons, and their comments made available. My final recommendation with all of the information I have to hand is that the TETRA system be halted until further research on safety has been carried out. This research be made available to the ladies and gentlemen of the police force and not until they are satisfied with the safety of the system, should it be implemented. In other words, I am suggesting that the police have the final say in whether TETRA is introduced or not to their force. I believe the ladies and gentlemen of the police force should be credited with the intelligence they have to make decisions regarding their own safety. Further, any scientific document written for them to read should have full explanatory notes so that they can understand any complicated scientific terms. NB: Before my lectures to the Police Federation and writing this report, I submitted my full CV for their scrutiny. With all of the research written here showing dangers from electric, magnetic, pulsed microwave electromagnetic fields, why with the officers' safety at risk are we still sticking to our ridiculous safety limit, which only measures heat? Can more information be given to the officers on our Government's non-lethal weapons programme concerning pulses into the brain around 17.6 Hz, or stored information from other research papers? Can the signals from the transmitter to the officer be rechecked as they are listed in the manual as continuous waves, whereas they have been measured independently to be shown to be pulsed? This is important because pulsed radiation is arguably more aggressive than continuous. NB: the following questions arise from the NRPB document on TETRA, Volume 12, Number 2, 2001, appendixed at the back of this document. Section 21 - How much radiation, and of which type is emitted from the case? Section 24 - What safeguards are in place to guarantee that the earphones are absolutely leak-proof and with the rough and tumble world of the police officer, how often are the earphones going to be checked for leaks? Who will do this, and which type of apparatus will be used? Section 25 - What experiments have been done to measure how the officers inside the vehicle are insulated from the transmitting device? Section 28 - If a police car is to be used as a relay transmitter, again, what measurements have been taken to ensure the officers are insulated from the electromagnetic waves? Section 37 - Why is a pulsed frequency of 17.6 Hz being used when it is known to interfere with the brains' beta rhythm and it was warned against by the Stewart Committee? Section 39/40 - If TETRA becomes widespread to all of the emergency services, reserve officers, traffic wardens, security officers, what is the expected output to be from handsets and the main transmitters? Transmitters generally increase their power to cope with additional calls. Will this be the case for TETRA? Section 61 - Has a neurosurgeon been consulted to comment on the effect of TETRA penetrating deep into the head? Section 63 - Why does very little information exist on the SAR produced by TETRA hand portables, why has no numerical modeling been carried out? Can this be done before TETRA is used nationally? Section 63 - Can all of the information relating to the experiments of measuring radiation inside the head (Gabriel 2000) be made available to the Police Federation for scrutiny, along with an independent peer review assessment from scientists, totally unconnected with the NRPB or communications industry? Section 65 - If the SAR's could be up to 4 times larger than those in table 6, what risk assessment has been carried out for officers receiving radiation with an SAR of over 8 W/kg? Can this information be made available to the Police Federation? Section 66 - With the main exposure expected to be at waist level, what research has been carried out relating this to the known deaths of officers from spine cancer from carrying transmitters on their belts? Could this research be made available to the Police Federation? Section 66 - Has an ear, nose and throat specialist been contacted for an opinion concerning radiation from the cable being transmitted into the glands of the neck? If not, could this be done? Section 67 - As vehicles cannot be relied upon to provide shielding for the officers, can further improvements to insulate the officers be recommended, then scientific studies carried out to test this insulation and all data be made available to the Police Federation? Section 68 - If international guidelines could be exceeded, what risk assessment has been carried out for the officers and passers by who may be using pacemakers, insulin pumps, have metal plates in their bodies, or be epileptic? Could this risk assessment be made available to the Police Federation? Similarly, for Section 69, concerning base station transmitters which will also exceed guidelines. Section 76 - Why have no measurements of exposures been made inside or outside vehicles? Could these be done and the data made available to the Police Federation along with how averages are calculated? Section 128 - As the possibility is not excluded that TETRA might carry a risk of cancer that becomes manifest many years after first exposure, or there may be a hazard from the pulses around 16 Hz, would it be a good idea to allow the ladies and gentlemen of the police force an opinion in the decision making processes which may concern their long-term health? Should these long-term health risks be published for the police force so that, like members of the armed forces, they may volunteer to expose themselves to possible danger? Section 129 - As further research is needed, should this not be done before TETRA becomes national, and can the results be made available to the Police Federation for their scrutiny? Section 133 - Again, the possibility of a risk of cancer after many years of exposure is commented on along with the hazard of pulsed radiation at 16 Hz. I repeat my observation that this risk assessment ought to be made available with full consultation with the officers concerned who will be using the system and that they should have the final decision concerning their future health risks. Is this a possibility? Section 135, Section 2 - Has a neurosurgeon been contacted to assess the risk of pulsing and its effect on the signaling mechanisms between nerve cells? Could this report please be made available to the Police Federation? Section 135, Section 5 - Shouldn't the human volunteers study on TETRA be carried out before its use becomes widespread? Section 135, Section 6 - As an epidemiological study is recommended to be carried out on the use of TETRA and its effects on "a relatively stable workforce with defined patterns of work", shouldn't the police officers be asked their permission if they are going to take part in what is a long-term medical study which may result in a number of brain tumors, spine tumors, eye cancers, heart disorders and many other illnesses? Section 135, Section 8 - Why is TETRA being used by officers if "only limited information is presently available on exposures from TETRA hand portables and further work is needed to provide more information on exposures from hand portables and from any other transmitting equipment"? Although I have legal documents in my possession I do not have the knowledge or confidence to even begin to try and explain legal words. I would recommend the Federation's solicitor contact Mr. Alan Meyer who is in my opinion this country's leading authority on matters electromagnetic and all of its relevant implications. I would add I do not have shares in his firm nor do I receive "backhanders", in fact I have never met the gentleman. Mr. Meyer will be able to advise on Government responsibilities, the human rights, civil rights and European Law. Electromagnetic Field-induced Stimulation of Bruton's Tyrosine Kinase, Journal of Biological Chemistry, Volume 273, Number 20, 2 February 1998.